Rossese is one mildly aromatic red wine grape variety from the land Italy. Rossese is considered as one mildly aromatic variety of red wine grapes that is believed to have been brought into its homeland of Liguria in northern Italy along with the Riveria from the southernmost region of France. This red wine grape variety has been actively used in a number of DOCs seen, which it produces both blended as well as varietal wines that are preferred by most wine lovers on their tables. This grape variety is mostly known for its pivotal role that it plays in the wines of Dolceacqua on the border of France and Italy. The plantation and cultivation of this red wine grape variety can only be found in the regions of Italy. In this country, this grape is used as to the production of various amazing wines of the world. The name Rossese to this red wine grape variety has been given after the vibrant as well as vivid color of its berries which is very much attractive as to its appearance. This grape variety is often considered by the people to be the synonym of a white wine grape variety called Vermentino as well as Rossese Bianco (another white wine grape variety). However, no established relationship has been noticed in between these grape varieties and the grape variety of the red Rossese. In the regions of Liguria, this red wine grape variety is considered as the most important variety of the grapes which is primarily concerned with the production and preparation of the tasteful wines. The competitors to this red wine grape variety are the Dolcetto and Ciliegiolo grapes. Despite of the great competition in between these varieties of grape, the grape variety of Rossese stick to its reign in the region. In fact, out of all the red wine grape varieties present in the region of Liguria, this grape variety has its own charm. It remains a very convincing blending partner to a famous grape called Sangiovese. Today, this red wine grape variety remains in an obscurity. It is planted and cultivated only in a small part of the vineyards of the world. Having said that, it still occupies a prime position and respect in the country; this red wine grape variety is known under a number of synonyms such as Rossese Nero, Bianco di Nizza, Rossse di Dolceacqua as well as Rosseis. Interestingly, this red wine grape variety also happens to be a name of a number of Italian grape varieties, namely Rosesse di Dolceacqua which is grown in the French wine region of Provence, Rossese Bianco that is primarily found in Savona; Rossese Bianco di Monforte which is primarily found in the province of Cuneo. Rossese di Campochiesa that is found in the region of Savona in Liguria along with another grape called Rossese Bianco di San Biagio, Ruzzese that is grown in the province of La Spezia and lastly the grape variety called Grillo that is also found in the province of La Spezia in the region of Liguria. This red wine grape variety is considered to have an ancient origin. It is believed to have come to the country of Italy from France. The experts suggest that this red wine grape variety was brought down to Liguria by some of the soldiers as well as the powerful family of Genoese Doria. This grape variety has been resting in the vines of the Italian regions since the year 1270. 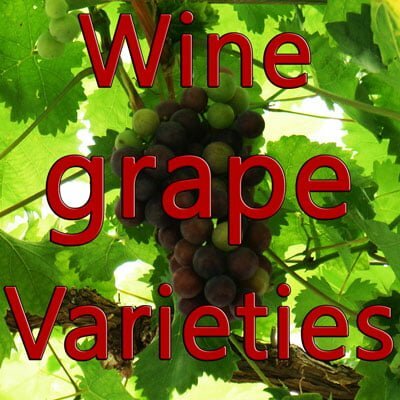 The wines produced out of this red wine grape variety are mostly the varietal wines. These varietal vines are dark ruby as to their color and appearance. These wines also entertain a flavor of fruit and rose that is further laced with a little hint of black pepper. The flavors of these wines are similar to the forest fruits such as wild strawberry as well as black currant, and sometimes the flavors as if both these flavors are blended together. The level of alcohol in these red wines is pretty medium and they come along with a punch of acid. 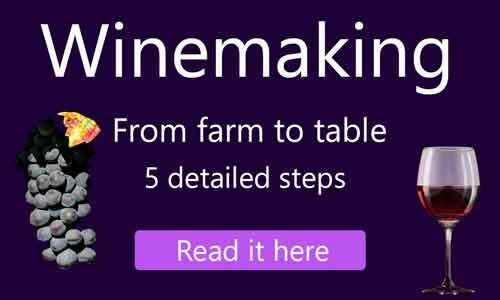 All the wines produced out of this red wine grape variety are best paired with the food items such as pizza margherita, stuffed bread, and lentil soup with smoky hints as well as tomato puree.